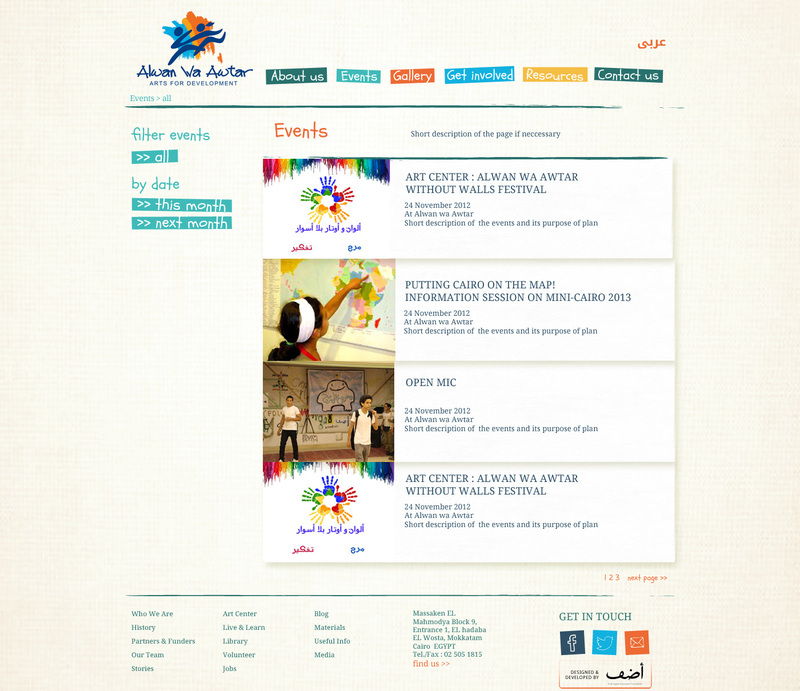 Alwan wa Awtar is a non-profit organization that aims to create a conducive environment enabling children and young persons in marginalized areas to develop their artistic sense, intellectual and creative abilities and self-awareness through arts and non-traditional learning techniques. 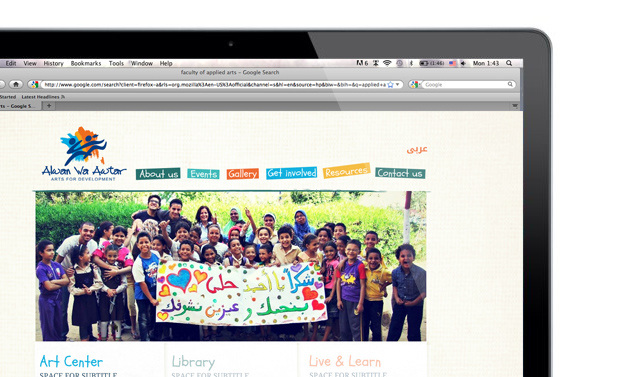 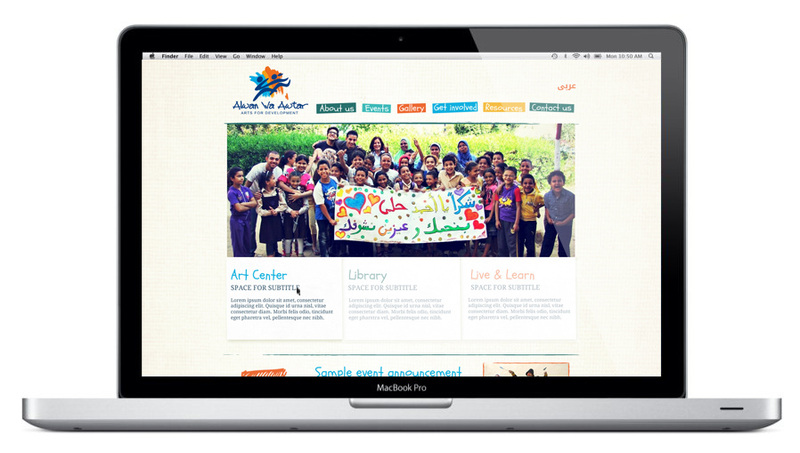 The re-design of their website was intended to capture the liveliness and colorfullness of the atmosphere of the activities and children at Alwan wa Awtar. 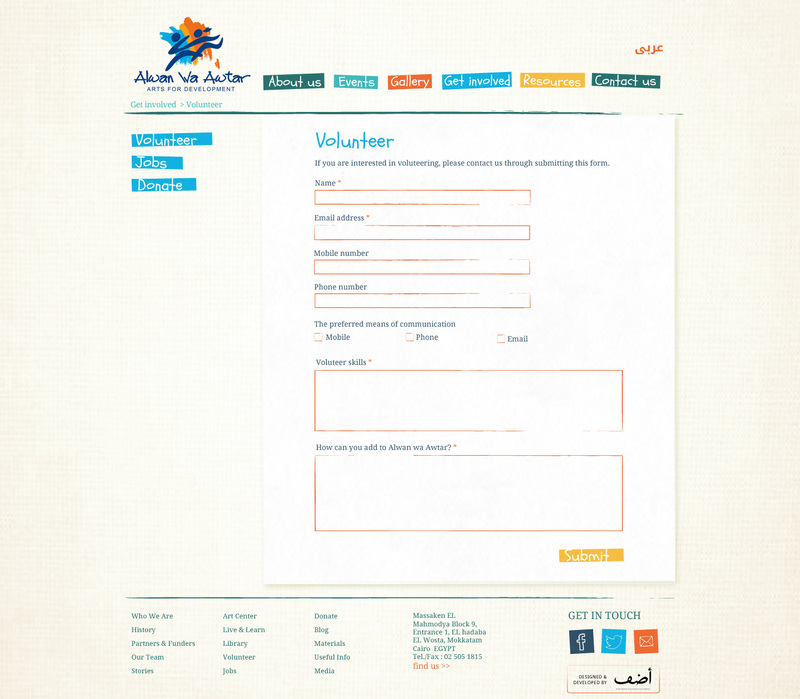 Both the English and the Arabic version of the website was designed.